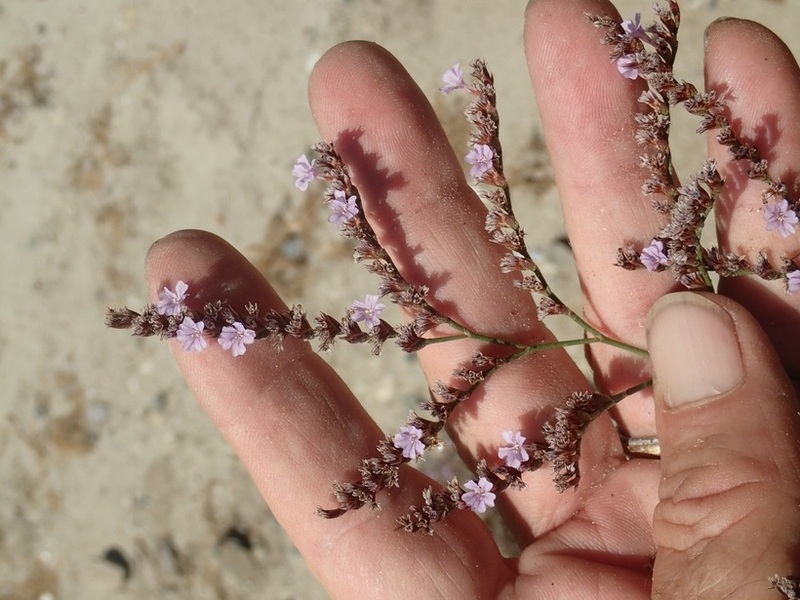 Limonium duriusculum (European sea lavendar) is a perennial herb (family Plumbaginaceae) with tiny purple flowers and oval-shaped leaves found in the desert ranges and central and south coast ranges of California. It is native to the Mediterranean. It favors marshes, scrub and chaparral, and riparian and bottomland habitat. It spreads via seed. Human activities and water help disperse the seeds.